The long-awaited Annenberg Community Beach House at Santa Monica State Beach opens Saturday as a public beach facility. 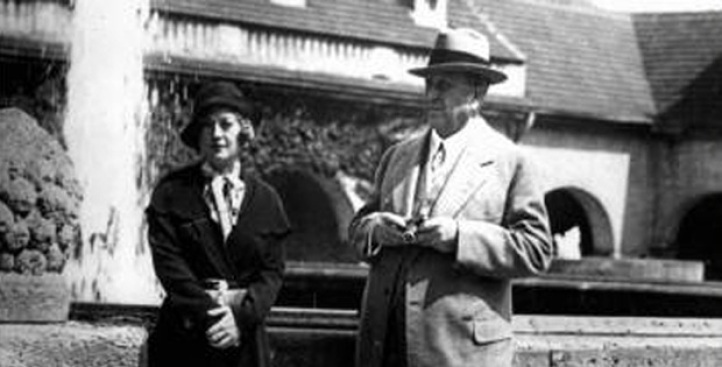 William Randolph Hearst built the original beach house in the late 1920s for girlfriend and actress Marion Davies. And while most of us know all about the mansion Hearst built for himself near San Simeon, Calif., did you know he built a smaller pad in Santa Moncia? The Hearst-Davies love nest had 110 rooms and 55 bathrooms. Guests such as Clark Gable, Cary Grant, Charlie Chaplin and Gloria Swanson partied at the home in 1920s and '30s. The years took a toll on the beach house and only portions remain today. But the spirit of the Hearst beach mansion lives on through an extensive years-long restoration project. The new communal beach house sits on a five-acre beachfront parcel at 415 Pacific Coast Highway. You can visit the house this Saturday and take a romp on the beach just like the moguls of yesteryear. Large crowds are expected Saturday so if you can wait a week or two to visit, that might be the smart move. Read about the history of the house and how it was turned into a public beach sanctuary in a wonderful article by Martha Groves of the Los Angeles Times. Rare "moving pictures" of Hearst and his pals frolicking at the at the "Beach House" can be seen at hollywoodtimemachine.com.